Top 10 DNA Tests - Does Vitagene Work? Vitagene is a company dedicated to celebrating the genetic differences between people and providing its users with the ultimate tool that can help them work toward a healthier future for themselves and their families. 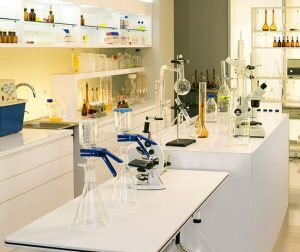 Its products are affordable, comprehensive, and most importantly, science-driven. Instead of spending thousands of dollars on new fad diets, the latest fitness crazes, and over-the-counter products, Vitagene helps you “discover who you are” based on your DNA. By learning this, you will be able to build the ultimate lifestyle to complement your genetics and nourish your body with personalized diet/exercise regimens and supplementation. There is still a lot of doubt when it comes to at-home DNA testing, so keep reading to learn whether Vitagene actually works as we explore the science behind its products and services. Our DNA dictates everything about us, from the way we perceive outside stimuli (smells, sounds, and more) to how our lifestyle, environment, nutrition, and exercise affect us. With that in mind, exploring our unique DNA signatures is the only way to really get to know ourselves and start working with our genetics and not against it. The entire human DNA was first sequenced during the Human Genome Project, which helped scientists obtain the basic outline of the human genetic code. However, we still have not discovered the particular roles of every single gene and its potential mutations. Vitagene processes and explores only those genes that have already been associated with certain aspects of our personality and traits. For example, we know how to test the human response to different foods, environmental factors, physical strain, supplementation, and many other important factors in our daily lives. The company does not give any unreasonable promises that are borderline impossible to keep in regards to modern genetic science. It offers health and ancestry testing and gives personalized supplementation recommendations to its users, remaining within the borders of known science. Depending on your chosen Vitagene product, you will receive a comprehensive health report, ancestry DNA results, and a personal supplementation plan based on your genetics. With every order, you also receive a free 15-minute phone consultation, which you can use to discuss your results and ask any questions you might have. Vitagene user support is also available to its users, so you can get all the necessary information by talking directly to the company’s representatives. The company stands behind its products and its support team is always there to clarify things, answer questions, and make sure you get the best testing experience possible. 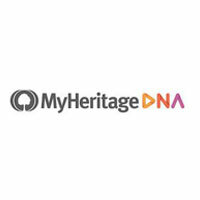 If you already tested with MyHeritage, AncestryDNA or 23andMe, you can transfer your raw DNA data file to Vitagene and use the information you already have instead of performing another test. Alternatively, you can also order Vitagene’s at-home testing kit and get your DNA results directly from the company. Vitagene health tests will amplify your DNA and explore the genes associated with diet, fitness, and supplementation. Its ancestry test will explore your genetic heritage by comparing your DNA signature with 24 reference populations going back up to five generations. All of Vitagene’s products will give you insights into your personal ancestral heritage and genetic health predispositions. However, it is very important to set one’s expectations realistically and understand exactly what the company offers. In other words, people who do not bother to read what Vitagene is all about or ask questions and explore its products will most likely end up disappointed because they do not understand the reaches of modern genetic science. All in all, the majority of bad experiences with DNA testing stem from misunderstandings. DNA testing is still a taboo of sorts, so having all the right information is crucial for optimizing the exploration of your unique genetic signature. In other words, if you take some time to understand Vitagene’s portfolio and mission, you will not have any problems throughout the testing process and you will end up with valuable information about your personality as dictated by your DNA.